A bath of oil is vibrated and oil droplets are deposited on the surface. 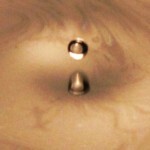 Thanks to the vibrations, the droplets do not coalesce, but bounce on the surface. could something like that happen with water too? well, the pond/basin was 2 meters wide (almost circular) and maybe 20cm deep, the water was falling in it on a side, from a heigh of 2 meters. of course the droplets were ‘generated’ near the waterfall, and travelling from it. 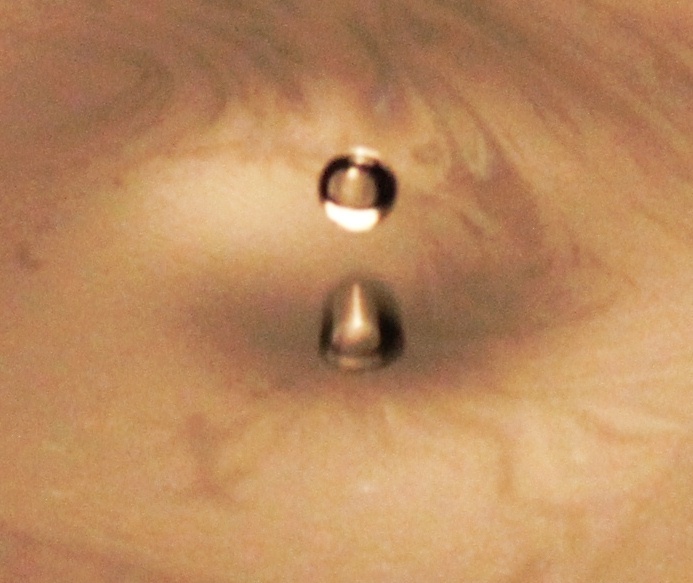 coalescence was happening as long as a droplet got far enough from the ‘wavesource”.